Congratulations! You are about to embark on the adventure of a lifetime-planning one of the most important events of your life-YOUR WEDDING DAY! 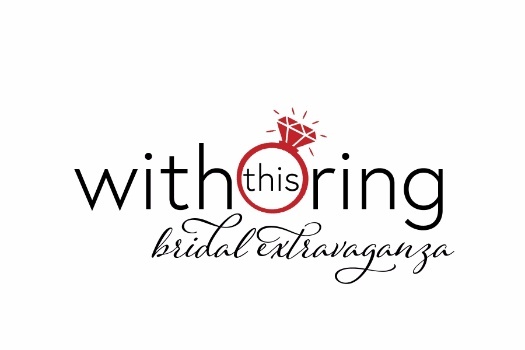 Join us at the 30th Annual "With This Ring Bridal Extravaganza" Sunday, January 27, 2019 at the Waco Convention Center. 11:00 am - "Honeymoons Around the World" Pre-show Reception featuring Allen Samuel's House of Travel. Meet travel vendors from around the globe handpicked by Bambi Eskew and her team from Allen Samuel's House of Travel. Sample scrumptious delights from Blanek's Custom Catering at this reception with a couple of surprises for you! All attendees of this event will be entered into a drawing for a free HONEYMOON! 12:00 pm - With This Ring Bridal Show. Explore the trade show floor with plenty of experienced, professional exhibitors to help inspire you and plan for your special day! Get the opportunity to talk one-on-one with leading wedding professionals, ask them questions, admire their work, and check-off items from that never ending to-do list. Fabulous wedding displays bursting with inspiration await you. Sign up for some amazing prizes and discounts only eligible to "With This Ring Bridal Extravaganza" attendees. Planning your perfect day can be exciting, but more often than not it may seem a bit overwhelming. At With This Ring Bridal Extravaganza you'll find everything you need to plan your day, your way, all in one place, all in one day! Delicious Cake Samples from Waco's best bakeries. Sample delicious food from Waco's best catering companies! Checkout the latest floral trends with Waco's best floral designers! Be inspired with the latest in Wedding Trends from Waco's best event designers. Be entertained by Waco's best musicians and dj personalities! Say Yes to the Dress! See firsthand, the latest Wedding Gown trends with Waco's best Bridal Salons.